Taking the scenic routes through the beautiful landscapes of Lynnwood, WA is an excellent way to spend a Sunday afternoon. The most important part of your drive is your fully operational vehicle. We keep your vehicle on the road for all of your daily commutes, road trips, and errands. We’ve been here providing top-notch automotive repair to the Lynnwood, WA area since 1980. In Lynnwood, you’ll find our largest repair facility with 18 service bays. As the premier location in our family of service centers, Jeff’s Auto Repair has become the preferred stop for responsible drivers looking for quality maintenance and repair services. Our specialties at the Lynnwood Location are brake repair, maintenance services, emissions repair, and check engine light diagnostics. This facility employs professional ASE Certified techs that provide a higher standard of auto repair services. Our routine oil change services, lube services, tune-ups and more are quick, clean, and efficient. We’re the preferred choice to any expensive dealership for quality auto services. Responsible Lynnwood drivers bring their vehicles to Jeff’s Auto Repair. Keep your vehicle road-ready! We’d much rather have you in and out for some routine maintenance services than to be towed in. We keep engines running smoothly and customers driving safely. The key to stronger and longer engine performance is consistent maintenance and complete repairs. Let our specialists protect and preserve your engine, enhancing its performance and extending its road-life. Come to our Lynnwood facility for the most accurate engine diagnostics. When you come to us, you get your vehicle’s repairs done right the first time. We find out exactly what’s wrong with your vehicle, and only provide necessary auto services. Our facility and technicians represent integrity and excellence in auto repairs. Your trust is the most important thing, and we always strive to be worthy of it. Always be proactive with your automotive needs and bring them to the experts at Jeff’s Auto Repair. We understand that you value your time, even more than your money. Our shop is dedicated to saving you more of both. Before you have any expensive repairs done on your vehicle, come to Jeff’s Auto Repair for a second or third opinion. We’re your one-stop auto repair shop for total car care. Come Visit the Lynnwood Location! Our team is anxious to service your vehicle with our exceptional repair and maintenance skills. We invite all drivers throughout the Lynnwood area to come experience next level auto repairs. 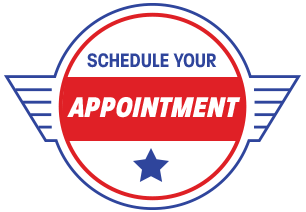 Stop by our shop at 21701 Highway 99 or give us a call today at 425-771-4588 to schedule your next appointment. Your vehicle will receive the attention it deserves from technicians using the most advanced technologies. We look forward to meeting our customers and exceeding their expectations.